Hello everyone, I'm back and missed you all! 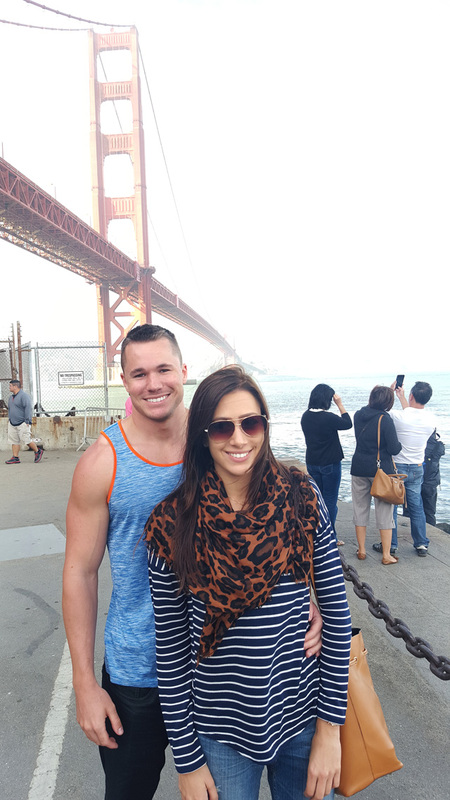 Last week Chase and I flew down to San Francisco for the first time to attend TwitchCon and explore. 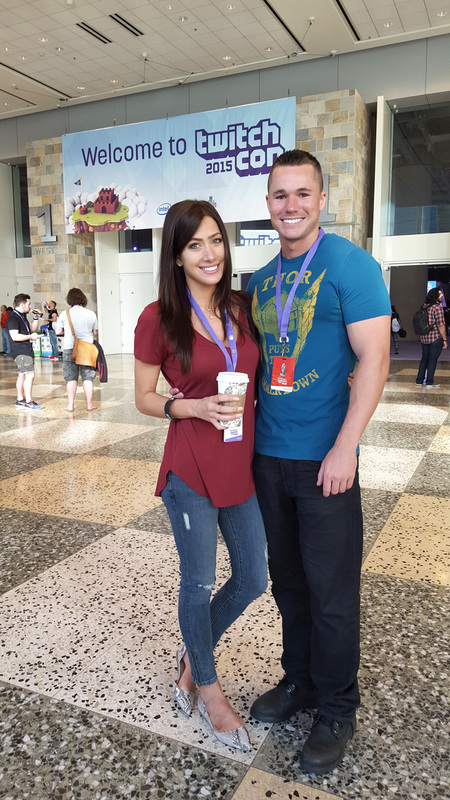 The TwitchCon event went on for 2 days and the reminder of the 3 days were spent exploring. 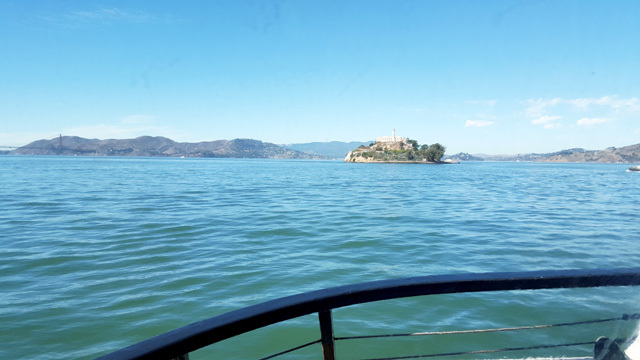 Fisherman's Warf, Golden Gate Bridge, and Alcatraz were on our list of things to do. Today, I'm sharing some photos with you all from our trip! Hope you enjoy:-). 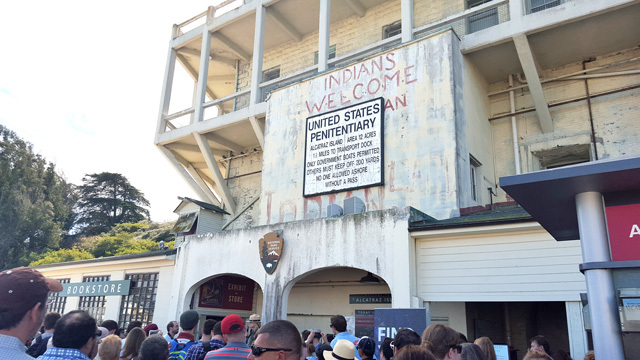 Luckily we booked our tour to Alcatraz a month in advance as the tours were all sold out when we got there. 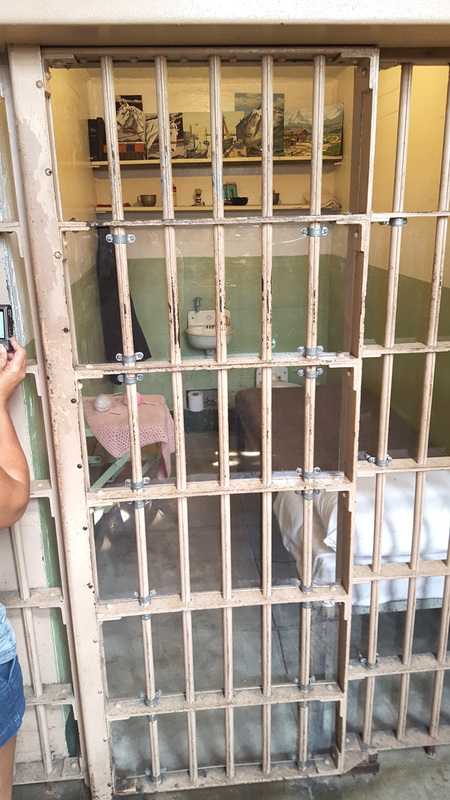 Alcatraz was one of the best tours we've ever done and would highly recommend to anyone visiting San Francisco for the first time. When we got home we watched the movie, Escape from Alcatraz with Clint Eastwood! 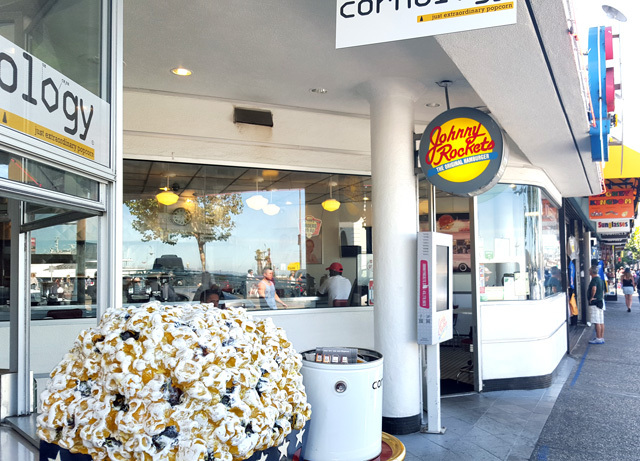 Our first time trying Johnny Rocket's Burger and we loved it! We don't have one in Canada, so we wanted to ensure we checked out restaurants we don't have back home. We also got a chance to try In-N-Out Burger, which I actually liked more than Johnny Rocket's. I finally got a chance to wear this denim mini skirt, as the weather wouldn't necessarily allow for it back home. Unfortunately, I'll have to put it away until next summer...:-(. 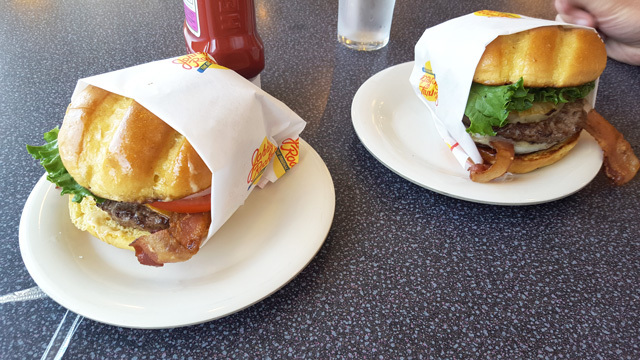 We checked out the Beach Street Grill in Fisherman's Wharf for breakfast, so amazing! 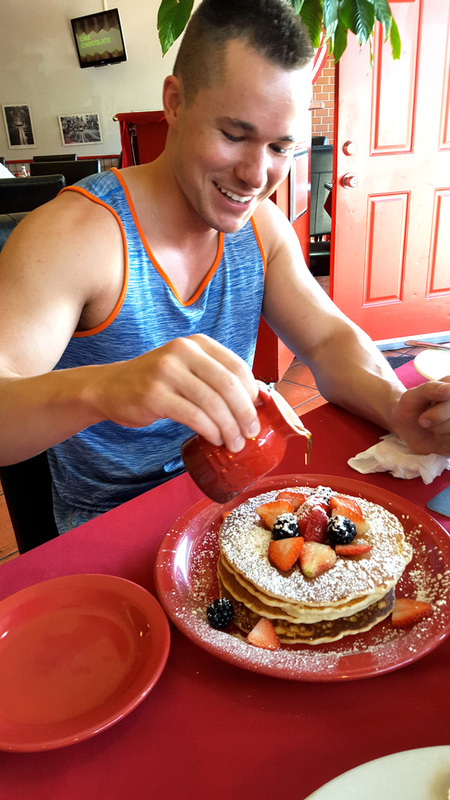 Chase was really excited for his pancakes. As you can see...lol. 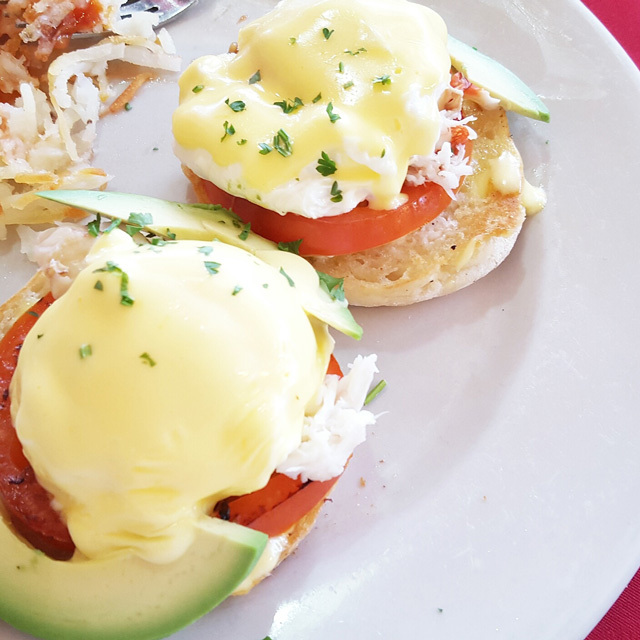 And I had the most amazing Fresh Crab Benedict!! 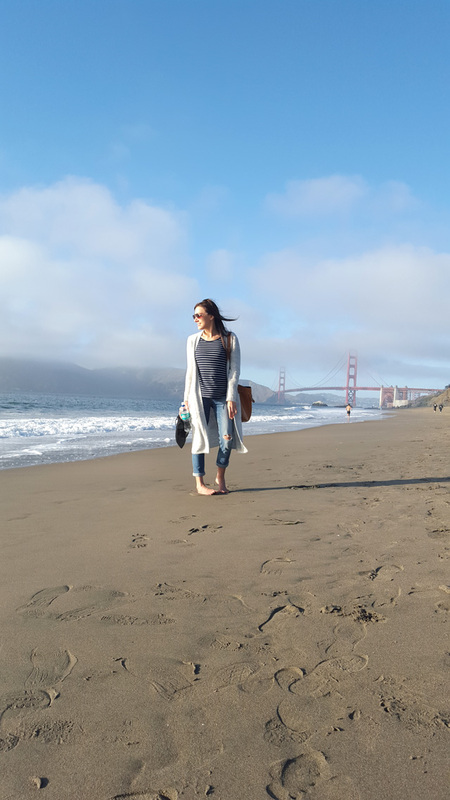 On our last day we went back to the Golden Gate bridge because I wanted to check out Baker Beach. It was super chilly the last day, so I made sure to bundle up with lot's of layers this time:-). 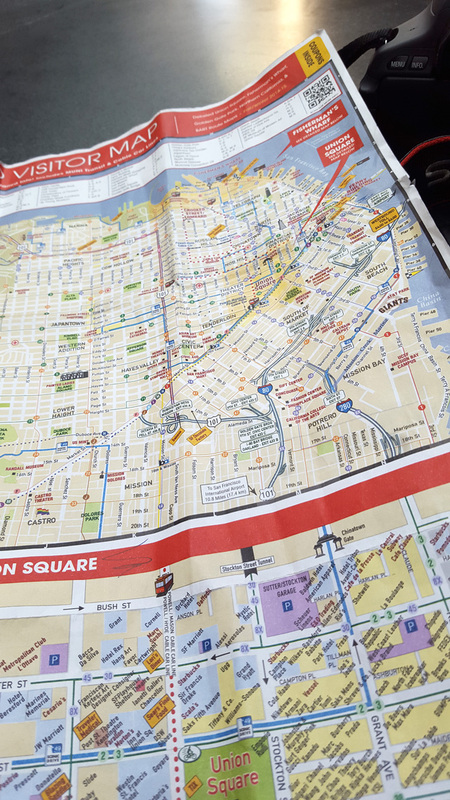 The trip was great and I truly enjoyed every little bit of San Francisco. Unfortunately, we missed our flight back home which left us having to book with another airline, as Allegiant didn't leave again until 2 days later. We didn't necessarily estimate our time properly for how long it would take to get back to the airport from our hotel and showed up 10 minutes before departure. At that point they had already closed the gates and we were unable to board. Definitely plan our time better next time! 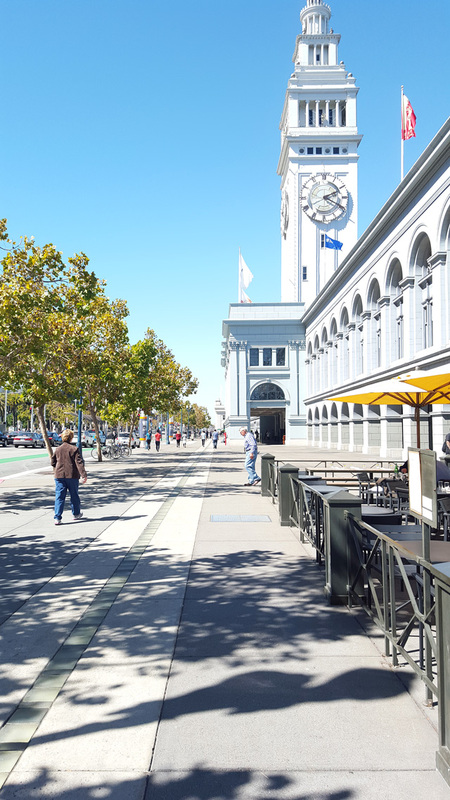 Oh, it looks like you had an amazing time in San Francisco! 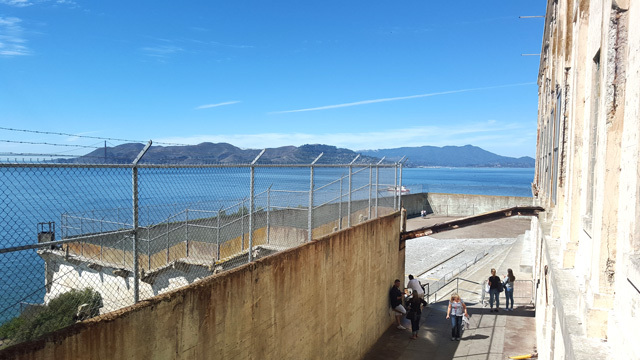 Oh, I'd love to visit Alcatraz. It's so creepy and terrifying, and awesome! ...it's not weird that I think it seems like the greatest thing ever. Thank you! 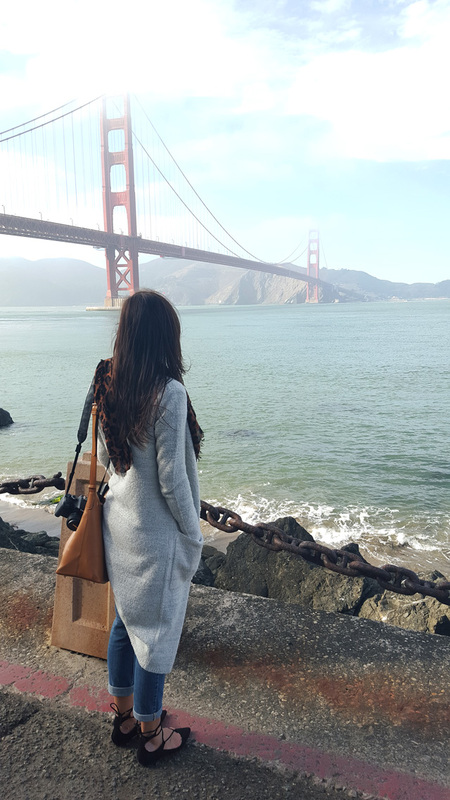 I loved every little of SF except for the fact me missed our flight back lol. But that was our own fault:p. It was a bit spooky, but I think that's what I loved about it. If you're totally into that stuff you would love this place for sure. Thanks so much for stopping by! Great post, amazing pictures as well, I love to visit this interesting blog. Thank you for sharing, before I forget, love your outfits too!!! Thank you Nora! Appreciate it a lot:-). Hope you had a great weekend! Beautiful photos! You look so cute together,lovely couple really! Gorgoeus photos! Ive always wanted to visit San Francisco! Ive watched Escape From Alcatraz numerous times. Its so cool you actually got to go there! The weather looks like it was lovely and you both look so happy in these photos. The food shots are making me hungry tol haha! You look so stylish in every picture! Love your looks! Love this post! Your shoes are gorgeous. I want to visit Alcatraz so badly! This looks like it was an amazing trip. I LOVE your outfit with the high waisted jean skirt and purple flats! Thank you Aleczandra! That outfit was definitely one of my fav from the trip:-). Oh and you definitely must when you visit SF. Hope you had a great weekend! That's super cool. Glad you had fun there. 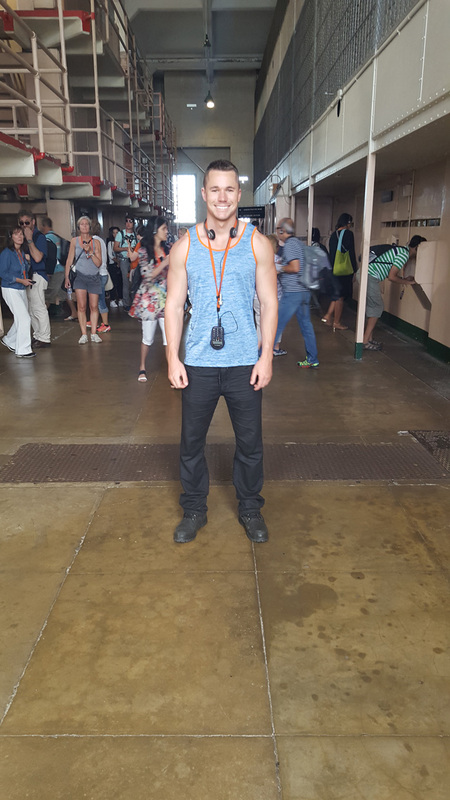 I've been to Alcatraz once, and I thought it was cool. Love all of your outfits, girl! What a lovely couple ❤️Amazing shots! I also Love all your outfits. 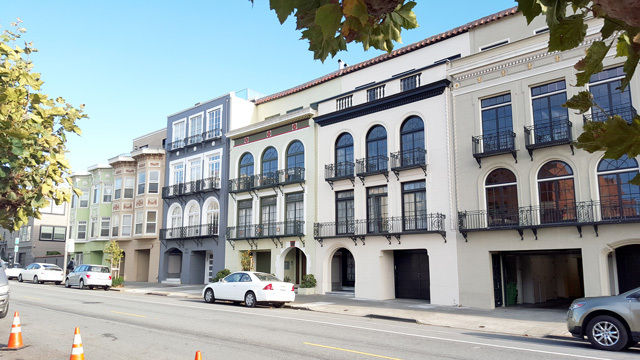 how fun to go to san fran! looks like an amazing time! You look amazing in these photos around town. This looks like a fun trip! Glad you guys had a great time. The food looks so delicious! You sure had a great time!